Australia is a vast country that occupies the entire continent. Therefore, a great number of attractions and remarkable sites are offered by private guides of this country. 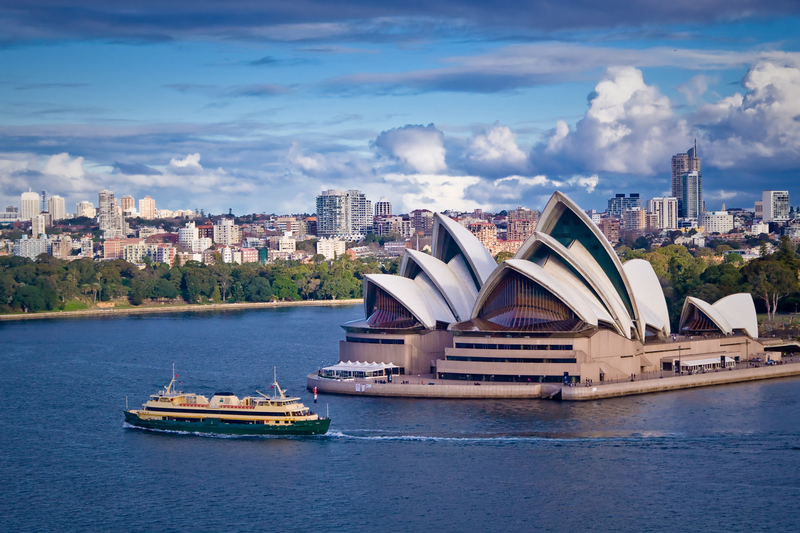 You will have an opportunity to take a walking tour through Sydney to see magnificent parks and churches, climb the Harbor Bridge and admire the city from a bird’s eye view, and visit St. Mary's Cathedral and Hyde Park. This 4-hour tour will cost $300 USD. Excursions around the city by the private guide’s transport will cost $450 USD. For the price of $600 USD, you can take a wine tour through Hunter Valley or take an excursion to Blue Mountains national park, a trip that has elements of a safari and trekking tour combined. There is one more interesting tour through the wildlife of Australia; a trip to the rainforest of Kuranda Natural Park and to the Kuranda village located at the foot of a mountain range. You will observe the giant trees, amazing waterfalls, and learn about life of the natives. Private tours to the most beautiful waterfalls in Australia cost $75-$150 USD. Interesting excursions through Tamborine National Park include wine tasting at the local wineries for $150 USD, and ordinary sightseeing tours around the cities of Sydney and Brisbane cost $120 USD. Private Guides of New Zealand offer a lot of sightseeing tours through the cities of their country and excursions around the beautiful landscapes of its islands. In addition, there are some unusual tours to the local subculture and art underground. 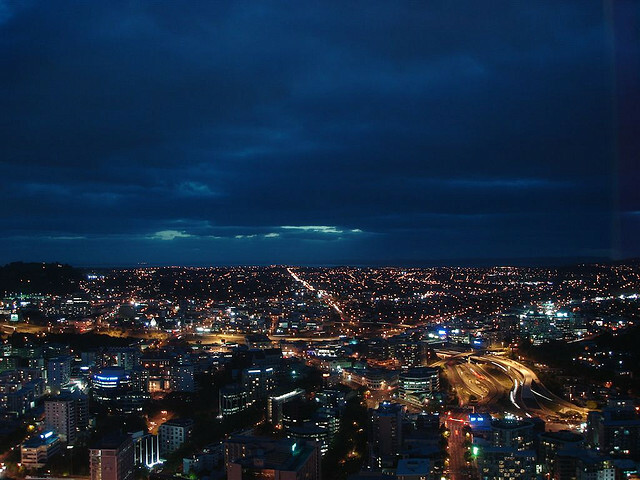 The City of Christchurch, located on the Southern Island, was restored after the earthquake in 2011. Now guides of the Christchurch invite travelers to discover the world of underground art and alternative culture of the city. The tour will cost $45 USD per person. Japan is a country of technological, economic, cultural, and many other miracles. It is the mysterious birthplace of Haruki Murakami and Akira Kurosawa. This country keeps so many secrets that you can travel indefinitely, making a new discovery every single day! Japan guides offer sightseeing tours around the cities of Tokyo for $300 USD, Yokohama for $400 USD, Kyoto for $500 USD, and Nikko for $550 USD. Private tours through the remarkable sights of Tokyo (7-people max) cost $350-$650 USD. Complex travel throughout the cities of Japan (Tokyo, Yokohama, Kamakura, Nikko, Kyoto, Nara) can be arranged as an 8-day tour for two and cost $3,400 USD. There are quite interesting excursions to the zone of Fukushima. This territory was destroyed by earthquakes and a tsunami in 2011. The 9-hour tour will cost $640 USD. 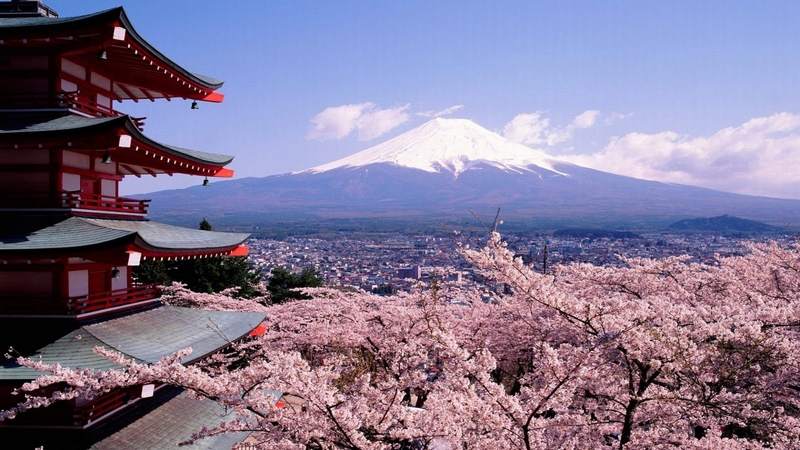 Guides offer tourists a trip to the Sakura Festival held once a year at the end of March. This is a beautiful holiday of history dating back to the 17th century. 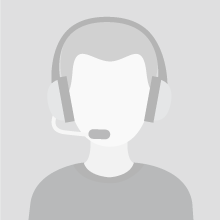 You can take part in the festival events for $180 USD. There are a lot of excursions to the exhibitions of innovational technologies and technical presentations, bike and walking tours to the Mount Fuji and the hot springs, as well as many other interesting tours around the country. Thailand is one of the most popular touristic destinations for travelers from all around the world, and the diversity of excursions offered by private guides of Thailand will not disappoint you. Beach lovers and divers can enjoy the white sand and beautiful sea of paradise islands for $100 USD. Fishermen can try their luck by taking a boat fishing tour along the shores for $50 USD. There are historical tours to remarkable places like the Ancient City of Mueang Boran, a large open-air museum, for $50 USD, and excursions to the ancient but active temples on the banks of the Bang Pakong for $75 USD. You can take tours to the multi-level waterfall in Khao Chamao National Park for $50 USD and the Khao Kheow Open Zoo for $15 USD. Private guides offer trips to the Ancient city of Ayutthaya as a perfect chance to take photos of the temples and ruins of the capital which is occupying this region before the kingdom of Siam, for $40 USD. You will also be invited to take an entertainment tour around the city of Bangkok, full of exotics and adventures, for $125 as well as a night tour to the modern red light district, gay streets, Japanese and Arab quarters, supermarkets of prostitutes and night markets providing entertainments for everyone. Entertainment tours will cost $125-$150 USD. Another interesting tour to Hungry Ghost Festival, the traditional Chinese holiday, is quite popular in Thailand at price of $85 USD! Vietnam is a brave and independent country that won its freedom and now is gaining its high place in the world ranking of tourist attractions. Private guides offer sightseeing tours through the cities of Nha Trang, Hanoi, Saigon and Ho Chi Minh City priced from $27 to $80 USD. In addition, take a trip to "Unknown Vietnam" around the cities and remarkable places that are not often visited by tourists. Tours through the provincial cities include visiting beautiful temples, and tasting traditional cuisine and special dishes made from salangane nests. Finally, you will discover the temple complex of Tan Shawn. This 8-hour tour will cost $260 USD. The tour to the Nha Phu Bay islands include a visit to magnificent beaches and the zoo where hundreds of wild monkeys live will cost $260 USD. You can also take a two-day trip to the province of Dak Lak (Đắk Lắk) and visit traditional villages of the people of Sung, who call themselves elephant hunters, for $570 USD. You will learn how to tame a wild elephant as well as interesting facts about the Sung people and their way of life and traditions, especially about the world of spirits that they worship. Guides of Vietnam offer tours along the shores of the country for $90 USD, bike tours around Nha Trang city for $70 USD, walking tours through the night Hanoi for $35 USD, 2-day excursions to the beautiful town of Sa Pa for $135 USD, and an unusual adventure similar to a motorbike tour through the jungle of Vietnam for $50 USD. 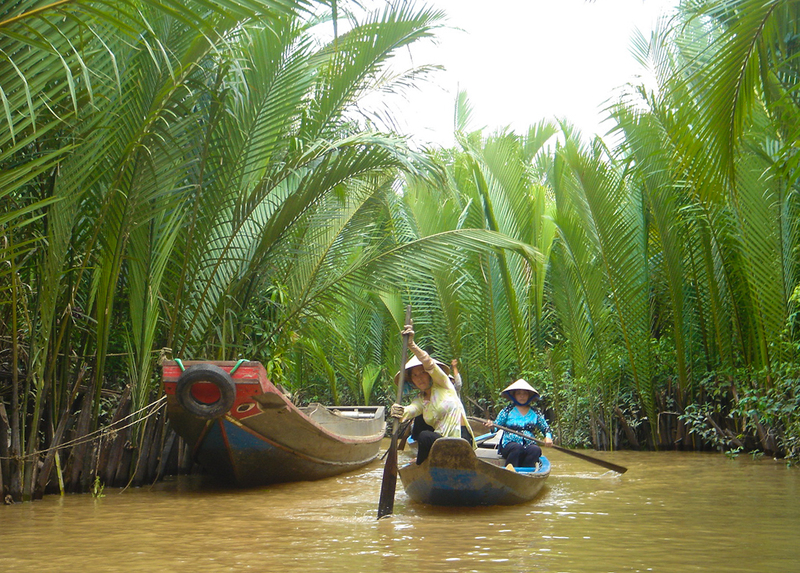 If you prefer to travel surrounded by unspoiled nature of Vietnam, then you should take a journey along the Mekong River. An 8-hour tour will only cost $53 USD. Cambodia closed painful and tragic pages of its recent history, and stepped onto the path of recovery. Private guides of Cambodia feel lucky that their homeland is rich with the diversity of attractions and historical sites! 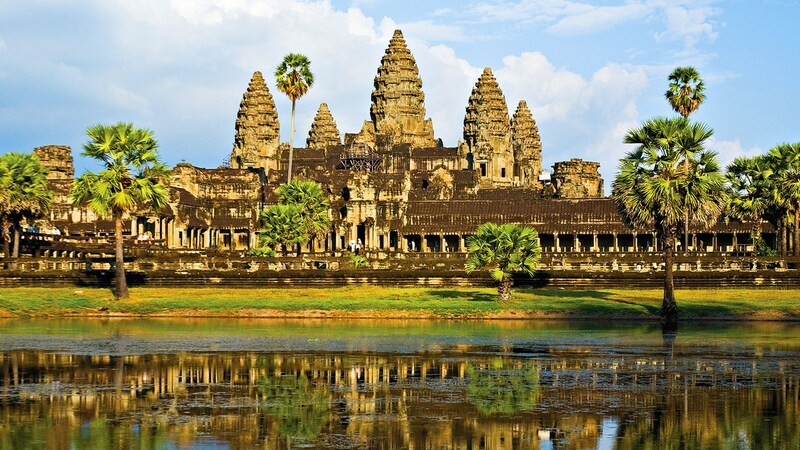 They offer tours to Angkor Wat, the world most famous city of temples dedicated to the god Vishnu. This remarkable site attracts thousands of tourists from all over the world every year because it is not only a complex of historical monuments, but also the largest archaeological site and religious object in the world. In addition, some scenes from the movie "Lara Croft: Tomb Raider" were filmed here, and you will surely be guided to these famous places of filming. A six-hour tour through the complex of Angkor Wat will cost about $190 USD. There are a lot of single temples, historical monuments and archaeological sites spread over the territory of the country. You can visit them for a price of $80–$180 USD. The beautiful nature of the country is worth your attention as well. You will be invited to take a tour through the wildlife of Cambodia, over its jungles, tropical lakes and rivers for $50-$70 USD. To take an excursion to the floating village, which houses are built right on the water, the price is $15 USD. Inhabitants are living off the bounty of the lake on which the village stands and welcome curious tourists to observe their way of life. Sightseeing tours in Cambodia are not so popular. Private guides offer these tours mainly around the capital of the country, Phnom Penh city, for $85 USD.